Club Med has revealed it has visions of expanding its trade reach, with its eyes fixed on increased distribution in Australia via new partnerships with some of the country’s largest retail networks. 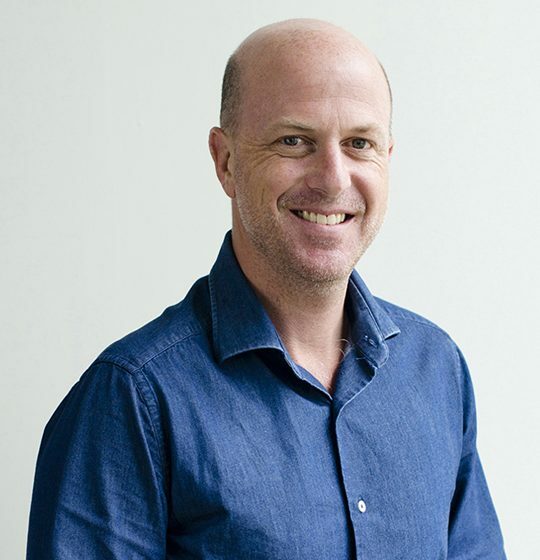 In Sydney yesterday, Club Med Resorts APAC CEO Xavier Desaulles explained the rationale behind the all-inclusive holidays specialist’s strategy and revealed to LATTE that Australia is indeed “back on the radar” for the brand. 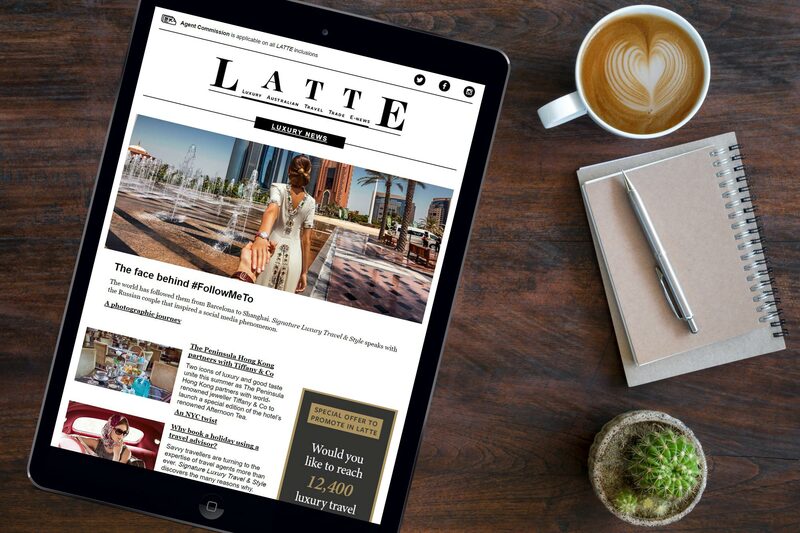 In this week’s LATTE Interview, Desaulles tells us exclusively about the strong growth in sales from Australia and the company’s medium-term aspirations for Club Med’s 5-Trident luxury offering. Xavier, what’s the purpose of your visit to Australia this week? I’m visiting one of our key source markets in Victoria. The trade is very important for Club Med because indirect [sales] here in Australia are a very strong side of the business. It has helped us grow the business by 50% over the past three years, so I wanted to meet with some of our key partners. I’m not singling out a specific partner, as there is genuine support throughout the trade through the networks. I should caveat that by saying that we’ve had a quite a selective approach to the trade because of the specific nature of our formula being all-inclusive and so on, so we’ve taken quite a focused approach to the trade in the past, partnering with a number of independents and doing what we are calling in-store boutiques, which I think are quite innovative in the trade space. In-store boutiques are specialised corners where we can feature the uniqueness of the Club Med brand. We have about 10 of them across the country. They are our shop-in-shop, if you will. That was the purpose of my visit to Melbourne also, to visit one of them, as they’ve been quite contributive over the past three years. Given the success of the shop-in-shop, are you looking to expand that number of outlets? We want to expand those flagships. That’s clearly the one thing in terms of extending our formula, so why not? We’ve been extremely selective about that, what we want to know, investigate how smartly we can work with the big networks, the big names out there. Clearly, they are structuring the Australian market because the Australian market is quite an indirect driven market, so we want to understand how. The all-inclusive nature of our offer and the premium nature of what we do can be communicated through the networks, so that’s probably the next step in the growth strategy. Working with the trade, working with those big networks. When you say the big networks, who? Are you talking about Flight Centre and Helloworld? And what about home-based agencies? Both possibly. I think the common thread is the ability to sell premium products that pay justice to the all-inclusive nature of our offer. I keep saying that because sometimes it’s quite a challenge to demonstrate the value of a Club Med package and we want passionate operators/agents to deliver our message. We see the Club Med brand suitable for big brand networks. Our proven track record since 1950 of reinventing happiness for families and active couples is a strong pitch today for these networks and they see us as a unique brand, as a stand- out within a portfolio of other suppliers, and we want to continue delivering on that value. How do you prove that all-inclusive packaging is better? It’s one of our main challenges to communicate that message, and we are investing a lot in sending influencers to our resorts, and by that, I mean arranging famils. We send about 200 agents a year from Australia to our various resorts. There is nothing better than to see it first-hand: that the rooms are included, that the food and beverage are included, that the shows, that the kids’ club are included, that the various activities are absolutely included in our package. To see and to live it, I think, is the best proof for it. We are also clearly investing in our tools with trade portals to ensure the information is timely, updated and impactful for them to communicate on the packages. We have quite a specific product. It takes quite a lot of expertise and it takes passion to sell a Club Med package. What are Australian travellers booking with Club Med? The makeup of our business today is that we have 25% of our stays under mountain/ski – this is the fastest-growing segment. We see a genuine interest for Japan, supported by Hokkaido; it’s a clear winner for a favourite destination for Australians. Then comes Europe ski and then the new frontier, China ski. 75% is seaside/beachside, driven by Indonesia, with Bali and Bintan – the historical business of Club Med because of the proximity of Indonesia. We have in the Maldives a very interesting value proposition in that we have two resorts, Kani and Finolhu, which are clearly a great value proposition for Australians. Kani more to the family market and Finolhu geared more towards active couples. And if guests wish to combine the destinations they can have access to the islands of both properties. Why do you believe Japan is so popular for Australians? A couple of factors. The reputation of Hokkaido for providing one of the best, if not the best, snow in the world. Number two, the local culture and Japanese flair, and sense of hospitality is a strong factor and for Australians, you should not discount the fact that the jet-lag is limited versus Europe, so the accessible nature of Japan is at play here. What is the booking trend for Aussies? And what is the booking window? The average length of stay is around seven days. That’s pretty standard. They are booking very early on. Australians are set travellers. They know they need to grab the deals. Australia I think is the most early-booking country in the world. Currently, we are selling three seasons at the one time here; through the middle of summer we are well advanced, and we are now selling winter 2019. Booking 12 months in advance is clearly the standard here. Multi-gen groups, which we specialise in, book 18 months in advance. For group incentives, it’s almost two years in advance. Australians are clearly early planners. Is luxury a focus for Club Med with 5 Tridents? It is a focus and it’s a natural continuation of the upscale move that Club Med initiatied 15 years ago when we had a range of standards of villages. We decided to focus more on the upscale with the 4 Tridents. Now about 80% of our portfolio is premium or 4 Tridents and above. And the next natural move is to focus on the 5-Trident fully fledged villages or 5-Trident spaces. 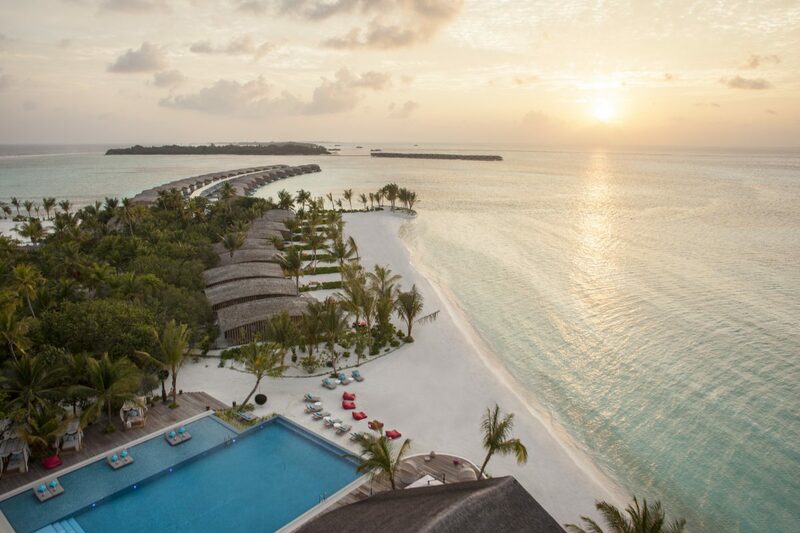 We have opened Finolhu in the Maldives in 2015, we opened Cefalu in Sicily which is a full-fledged 5T village in Italy. We will have Seychelles coming up in two years from now, plus a number of 5T spaces. We anticipate this standard of experience to represent about 10% of inventory within three years. We call it the Exclusive Collection and I think what is important to communicate is the fact that luxury and family experiences are not incompatible in a country. We can make a luxury or a premium stay a reality for families. Are there standalone 5-Trident properties, or do they tend to be with a 4-Trident? We are doing both. 5T spaces, the image is an oasis within a larger village. We had that in our village in the Maldives called Kani – we will do [that] in Lombok in one our next villages – and the benefit is that you are getting a sense of exclusivity – a premium stay – whilst still being part of the wider experience of the resort. So it’s the best of both worlds. When are you bringing back the Club Med brand to Australia? It’s a common question. The answer is that we are on the lookout. Probably five years ago the answer would have been “‘no”, but we are on the lookout. We are seeing a clearly growing trend in tourism into Australia, specifically fuelled by Greater China. And then for us, the very important selection criteria is 1) accessibility – Australia is clearly accessible to many corners of the world – 2) you have unique destinations that are pristine, seaside destinations which we value and then 3) the ability to create a multicultural environment in a resort. We want to create an international theme within a resort so we certainly need a domestic market of Australians, but we also need people coming from all over to come and experience the best of Australia. So I think the conditions are better for us to be on the lookout. I will note that it’s fair to say the price of assets has escalated accordingly, so that obviously is a consideration. If you were looking at Australia, are there specific locations that you would consider? Obviously, the Whitsundays and the redevelopment of Lindeman Island where Club Med had its original footprint must be under consideration? The project there features a number of new resorts, including a spa property; would that be of consideration? Sounds perfect for a 5-Trident space in a 4-Trident resort. I think we’ve learnt about the challenges of operating an island in Australia. The cost of doing business and the difficult accessibility is one factor, and was one of the reasons we decided to pull out, so I think we would learn from that experience. Again, our business model is based on accessibility to get international customers to come. So it’s another factor. 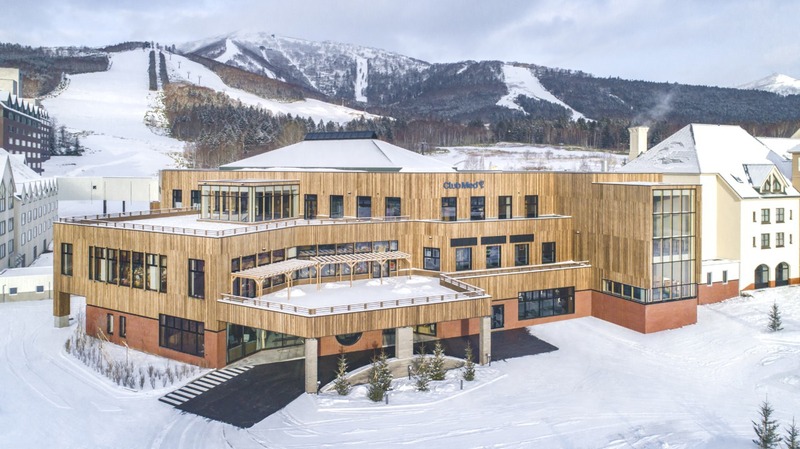 As is the seasonality of operating a resort is a factor. Our business model works best when we are operating annual resorts; we don’t close them. So for us, finding a location enabling us to do so is a key consideration. I will not be more specific than that. We are at a very early stage, but Australia is on our radar. What about New Zealand, the South Pacific, Fiji? Probably Australia is as far as we would go just simply because of accessibility and we are really, really focused on Southeast Asia and the Indian Ocean. There are so many destinations there; that’s where we need to grow the footprint. It’s a really big playground. Many thanks for your time, Xavier.